Have you ever wondered what it's like working with The Wee House Company on a self-build project? We have listed the feedback from 3 of our customers below for your information. `I was really impressed by The Wee House Company! I was offered guidance at every stage of the process by Jennifer and her team. They handled everything to do with the planning and building warrant application (even arranging for an archaeological watching brief that was required by the planners) and took care of all the ground works that were required to get our house in to the site and connected to services. The team worked quickly and efficiently on site. The house is adjacent to a wedding venue and The Wee House Company were happy to work around the wedding dates to ensure that no disruption was caused to any of the bridal parties and their guests. `I approached The Wee House Company as we had relocated to a house near Loch Ness, from Glasgow. My mother-in-law is in her mid 80’s and her mobility isn’t good. She was still living in Glasgow but we felt that she would benefit from living closer to us. We opted for a Studio Wee House which could be built in the garden of our own home. The Wee House Company were very helpful in making adjustments to the project which helped us keep everything within budget. As the company’s factory is quite far from us, my mother-in-law was unable to visit and see the house being built, so Jennifer kept in touch via email and sent through pictures. This meant we could show her the various stages of the build. We found the staff all very helpful and the costs were clear. The tradesmen who worked on-site were also polite and very capable. They even helped us out with an existing drainage issue on the site. I built my own house when commuting from Glasgow and it took me 5 years. Dealing with The Wee House Company it was done in 3 months- and that included changing the initial planning application to suit our needs. If we hadn’t proceeded with this project, my mother-in-law might have needed to go into a care home. This is the ideal solution as everything in the house is on the same level and the carers come in twice each day. 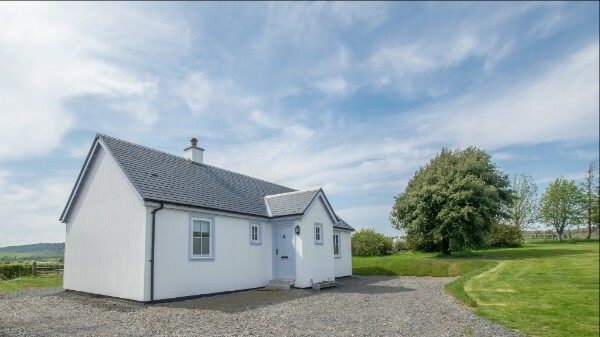 `It was a huge relief to come across The Wee House Company, after our previous attempts to build on our plot were hampered by ever-escalating costs. They are a great team to work with as the costs are transparent and they are happy to accommodate any changes that you wish to make to customise the house. The experience was painless as The Wee House Company project managed every aspect of the build- from the planning application to construction – and, most importantly, the house was completed on the agreed date. 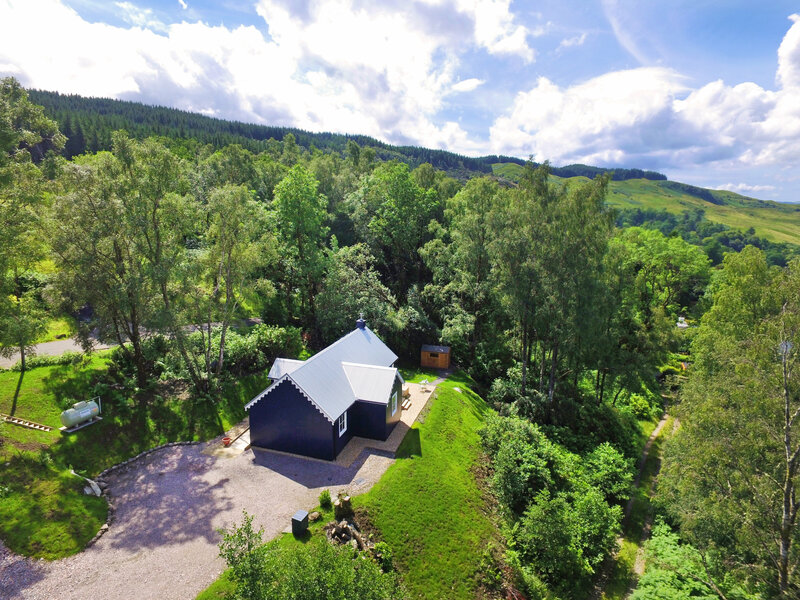 The Blue Cottage is used as a holiday let property in Loch Awe, Argyll and it has been a phenomenal return on investment. We are at 52% occupancy for this year and we are only at end of April. We also have a few bookings scheduled for 2018 already. In fact, we are so busy with bookings, at the moment, that we haven’t had an opportunity to go and enjoy the house ourselves! The layout and design of the house works very well. The Wee House Company created a bespoke design for our plot to take advantage of the fantastic views. The open-plan kitchen/lounge is a beautiful, bright room with double French doors facing onto the loch. 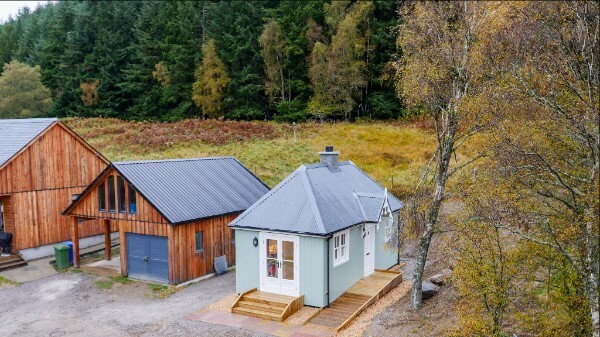 Interested in building a Wee House of your own? Visit our Wee House show home and sales office, situated at a beautiful coastal location on the A719 Ayr Road to Dunure. It is just 10 minutes from Ayr and 50 minutes from Glasgow. Use Sat Nav reference KA7 4LQ. Viewings are available by appointment. For more information, please visit theweehousecompany.co.uk or call us on 07772 949315. Click to watch our latest video - Vision to Completion.